You came into my life like a hummingbird – so fast & so beautiful. You left me in awe and heartbroken when you left. 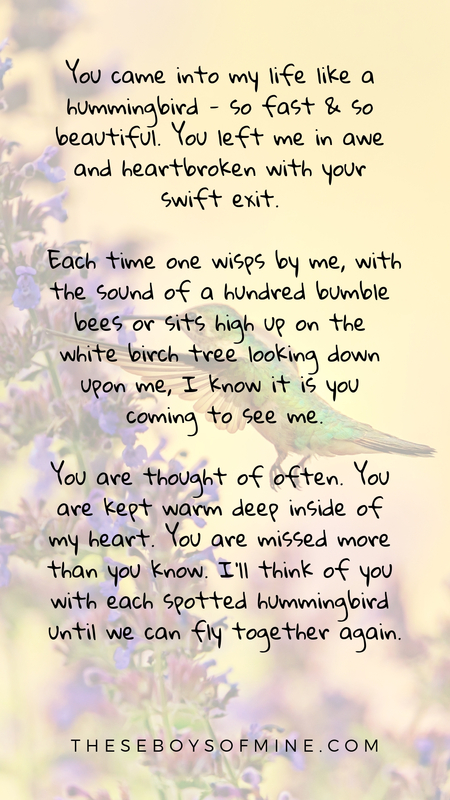 Every time I see a hummingbird I’ll think of you always.